In the era of ever-present attacks and breaches, IBM Cloud Security’s scalable suite of technologies and solutions are made more robust and complete through pervasive encryption, AI + automation and integration. When you partner with IBM, you gain access not only to a full stack of IBM Cloud security services, but also to an IBM security team supporting more than 12,000 customers in 133 countries. No matter which IBM Cloud service you subscribe to, you can rest easier knowing that your content is protected by IBM’s world-renowned security leadership. Every IBM Cloud service is designed, developed and managed according to IBM’s own strict security policies and implementation guidelines, and provided to you under the binding commitments of the IBM Data Security and Privacy Principles. IBM offers identity and access management capabilities designed to strengthen compliance management and reduce risk in today's cloud environment. IBM Cloud lets you build authentication and authorization into your cloud-native apps, and manage access to cloud resources. IBM Cloud has capabilities built in to provide you with the visibility you need to proactively monitor and gain security intelligence across your hybrid cloud deployments. Using security analytics, you can find and respond to threats faster, dramatically accelerate investigation times and proactively manage compliance. IBM Cloud is designed to protect your data with the capabilities to encrypt data at rest and data in motion across storage and data services, along with a key management service. State-of-the-art data encryption, personally identifiable information (PII) monitoring and a network security program combine to offer a comprehensive solution for your data protection needs. IBM Cloud provides a core set of network segmentation and network security services to protect workloads from network threats. To help you implement a network security solution, IBM specialists provide unbiased guidance and deep knowledge in physical security, network isolation and protection, and secure connectivity. They use a 360-degree approach that includes strategy, assessment, planning, design, implementation and management. IBM Managed Cloud Network Security services help secure your information assets, often at a fraction of the cost of in-house security resources, while additional services help protect workloads from network threats. To help protect your apps throughout their lifecycle, secure engineering, secure deployment and operations, availability and business continuity management are brought together in a DevOps model. IBM Cloud application security solutions are designed to protect your mobile and web-based applications, securing them from malicious use today and potential attacks in the future. IBM Cloud also provides multi-tenant application isolation and security for application runtimes and services. IBM Cloud data centers are designed to address physical security — from the building to the utilities to the equipment. IBM Cloud data center personnel follow strictly-controlled identity and access management policies, including proximity badges and biometrics. IBM Cloud maintains — under stringent third-party review — audit reports for compliance certificates for industry and regulatory requirements. Protect sensitive data from many kinds of malware, and secure data to the core. IBM Blockchain has the only fully integrated enterprise-ready blockchain platform designed to accelerate the development, governance and operation of a multi-institution business network. This trio — accelerated development, democratic governance and always-on operations — gives you the edge to solve real problems and create new and innovative business models. You and your ecosystem can quickly develop, govern and operate to take full advantage of blockchain for your applications. 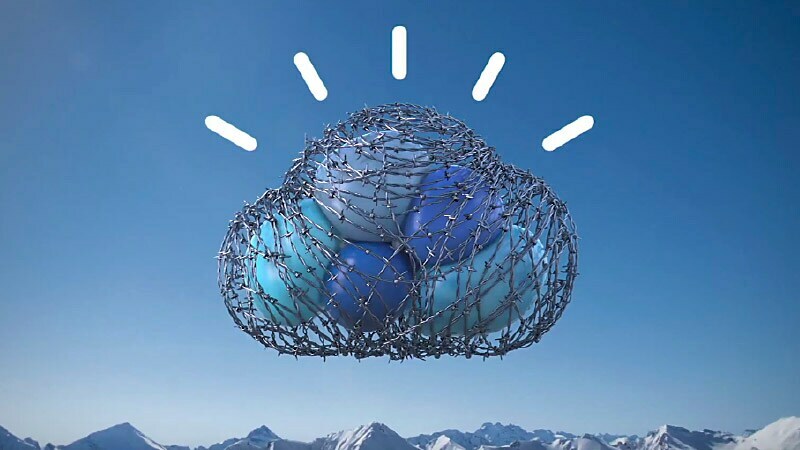 IBM Watson IoT Platform on IBM Cloud is recognized for cognitive analytics, multi-layered security, innovative blockchain technologies and global availability to local and multinational customers. IBM Watson IoT Platform has been named a leader in the IDC MarketScape report. Take advantage of secure, globally distributed data, analytics and cloud facilities, edge capabilities and a rich ecosystem of suppliers and solution providers that only IBM Cloud, with its deep security and IoT expertise, can provide. IBM Cloud compliance and trust certifications are one more confirmation of IBM's strong commitment to protecting your data and your cloud. Protecting your proprietary content and data is mission-critical to IBM. IBM Cloud services are designed to protect your proprietary content and data. Access to your data is strictly controlled and monitored in accordance with IBM’s internal privileged user monitoring and auditing programs. If you’re concerned about a potential security vulnerability, IBM wants to know about it as soon as possible. Guard against security threats with IBM solutions and IBM Managed Security Services. Talk to an expert about security on the IBM Cloud. Call 1-844-95-CLOUD (Priority code: CLOUD).